As of 1 July 2015 the Education Act 2004 was amended to allow the Minister to establish school education advisory committees as required to advise the Minister about school education or related matters for a specified period. The advisory committee has been established by the Minister to provide advice to the Government on opportunities for strengthening safe and supportive school culture in every ACT Government school by reviewing current policies, procedures and processes. What activity will the advisory committee undertake? The advisory committee will have discretion as to how it conducts the review. It will have the opportunity to consider the findings of the Schools for All Report and other relevant and contemporary reviews and reports and will have access to draw on the advice of other experts and stakeholders. The implementation of the Positive Behaviours for Learning and other targeted interventions that support the Safe and Supportive Schools policy will also be made available to the advisory committee. The advisory committee will be chaired by Ms Sue Chapman and will include members from a wide variety of education stakeholder groups. For full bios on each of the members please click here. How was the committee chosen? The members of the advisory committee were chosen by the Minister as they represent a broad stakeholder group and bring extensive expertise and knowledge to the process. The advisory committee will look at issues that have been brought to the Minister’s and Directorate’s attention over recent months. The advisory committee will consider a number of case studies to ensure the focus is on strengthening the system as a whole. Why is the committee not looking at any new incidents and only at some old ones? The advisory committee will focus on the systems currently in place to address violence and bullying in schools. Past incidents will be made available to the advisory committee. When will the advisory committee provide their findings? The advisory committee will deliver its final report to the Minister in August. A status update will also be provided to the Minister in May. Will the community have access to the report? The final report will be released to the community. What is the Schools for All Report? In May 2015, the ACT Minister for Education and Training, Ms Joy Burch MLA, established an Expert Panel (the Panel) to review policy and practice in all ACT schools in regard to students with complex needs and challenging behaviour and provide a report, including findings and recommendations, through the Minister, to a Select Committee of the ACT Legislative Assembly. A full copy of the report is available here. What is the Positive Behaviours for Learning (PBL) program? Positive Behaviours for Learning is an evidence-based whole-of-school program aimed to improve learning outcomes for all students. It provides a comprehensive, integrated whole-school approach to student wellbeing and behaviour. This approach involves the school community – staff, students and families – working together so students can make the most of their learning opportunities and respect the learning needs of others so that all can achieve their personal best. The program establishes clear expectations for everyone of what is appropriate behaviour to be able to continue with the core business of schools: learning. To date, 60 per cent of ACT public schools (51) have started their PBL journey, including primary, high schools, specialist schools and colleges. As Chair of the School Education Advisory Committee – Safe and Supportive Schools, Ms Chapman will lead the advisory committee to provide advice to the Minister on opportunities for strengthening safe and supportive school culture in every ACT government school. Additionally, as Chair, Ms Chapman will lead the advisory committee in advising the Minister on opportunities to strengthen practises in schools and the Education Support Office that give effect to the Safe and Supportive Schools Policy. Considerable experience in senior management and leadership roles in the public, commercial and higher education sectors including Deputy-Director-General in the Community Services Directorate and First Assistant Secretary, Portfolio People Services in the Department of Human Services. Specific line management expertise in corporate operations, information technology, stakeholder engagement, planning and governance. 15 years’ experience on company Boards, in both the not-for-profit and commercial sectors including Chair of the School Education Advisory Committee for Devices and an Independent member of the Education Directorate Audit Committee. 1988 Illawarra’s Woman of the Year for services to the community, particularly to young women. Foundation Director of the Macular Degeneration Foundation, a medical research and education foundation. 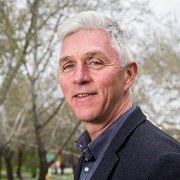 As Deputy Chair of the School Education Advisory Committee – Safe and Supportive Schools, Mr Redmond will draw on his background and experiences as a leader in the community sector to support the Chair in providing advice to the Minister on opportunities for strengthening safe and supportive school culture in every ACT government school. Former Chief Executive Officer of Woden Community Service. Direct service delivery, management and leadership roles in the Australian Public Service. Administering housing programs, community transport, domestic assistance, social groups and community care services to support seniors in Canberra. Masters of Health and Community Development. Chair, Social Work Advisory Committee, Australian Catholic University. Management Committee Member for the ACT National Disability Service. Member of the ACT Youth Justice Blueprint Taskforce. 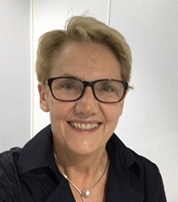 As a member of the advisory committee, Dr Packer will bring her background and experience in child health and wellbeing to support the Chair in providing advice to the Minister on opportunities for strengthening safe and supportive school culture in every ACT government school. A paediatrician since 1972 and a Community Paediatrician with a special interest in child abuse and abuse prevention since 1990. Teaching and mentoring roles as an Honorary Medical Officer. Member of the Expert Panel to review policy and practice in all ACT schools in regard to students with complex needs and challenging behaviour. 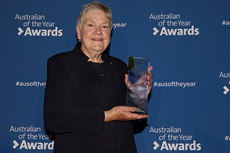 2019 Australian Senior Citizen of the Year – for her advocacy for the rights of children, her leadership in in child abuse prevention and treatment and a champion of the importance of early childhood environments for the developing brain. Belongs to a number of community and professional organisations, including ISPCAN, BASPCAN, NAPCAN (Vice President Member), AWCH (Association for Wellbeing of Children in Healthcare), Early Years Chapter of ARACY (Committee Member), KIDSAFE, and the Families Australia Board. Member of the Order of Australia (AM) for her “services to child welfare, Paediatrics and the Community” in 1999. Canberra Citizen of the Year 2013 "in recognition of her personal efforts and significant contributions to the ACT community, particularly as an advocate for the safety and wellbeing of children”. 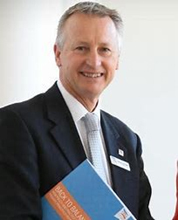 As a member of the advisory committee, Mr Yarrington will bring his background and experience as an ACT Public School Principal and President of the Australian Principals Association to support the Chair in providing advice to the Minister on opportunities for strengthening safe and supportive school culture in every ACT government school. The founding Principal of Harrison School, a large Preschool to Year 10 (1500 students) School in Canberra, Australia (2007-2014). Almost 40 years of experience in education, including the positions of teacher, executive teacher, consultant and Principal of a small country school, a large regional school and Special School. Experience in catholic and government schools in NSW, NT and ACT. Panel member of the National Review of Teacher Registration (2018), AITSL Expert Panel on School Leadership (2014-18) and member of the Education Council’s National STEM Partnerships Forum (2017-18). Life member and past co-president of the ACT Principals Association and Vice-President of the Australian Government Primary Principals Association. 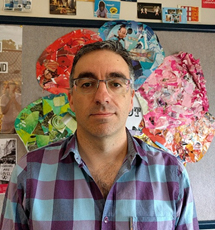 As a member of the advisory committee, Mr Maniatis will bring his background and experience as a current ACT Public School teacher to support the Chair in providing advice to the Minister on opportunities for strengthening safe and supportive school culture in every ACT government school. High school teacher since 2000 (English, media, animation, computing skills, basic programming and science). Australian Education Union Councillor 2003-present. SASSCO - Student Safe and Supportive Schools Contact Officer at Campbell High School (and before that ASHCO – Anti-sexual harassment contact officer - at my schools since approximately 2004). Bachelor Arts / Science ANU (Majors: English literature, neuroscience, microbiology). Diploma Secondary Education UC (English / Media studies). Campbell High School Workload committee chair and AEU representative 2016 – present. Board member for the International David Foster Wallace Society. Advisory board member for The Journal of David Foster Wallace Studies. 2002 Departmental Award for Outstanding Contribution to Teaching and Learning in ACT Government Schools. 2006 Microsoft Outstanding Educational Leader Award for an outstanding Educational Leader who has demonstrated a capacity to develop leadership capability in others. Nominee for Secondary Teacher of the Year – 2017 ACT Public Education Awards. 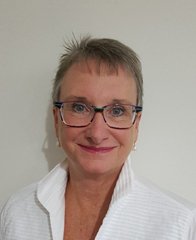 As a member of the advisory committee, Ms McGovern-Hooley will bring her background and experience as the President of the ACT Council of Parents and Citizen’s Association to support the Chair in providing advice to the Minister on opportunities for strengthening safe and supportive school culture in every ACT government school. Disability services and aged care services industry on the transition of not for profit organisations to the NDIS (National Disability Insurance Scheme) and My Aged Care. Bachelor Arts Communications (University of Canberra). Diploma of Media Practice (Zenithmedia College). President ACT Council of P&C Associations. Effectiveness Award for Royal Flying Doctors 2002 - Association for Data-drive Marketing & Advertising (ADMA). Effectiveness Award for News Ltd Teleclassifieds 2003 - Association for Data-drive Marketing & Advertising (ADMA). As a member of the advisory committee, Ms Godwin will bring her background and experience in social services to support the Chair in providing advice to the Minister on opportunities for strengthening safe and supportive school culture in every ACT government school. Consultant with particular interest in leadership, organisational design, and public sector management. Trained and worked as a social worker before moving into management roles. Almost 40 years’ experience in the public sector at regional, state and national levels in a variety of Departments. Commonwealth Department of Human Services - as Deputy CEO and then A/g CEO of Medicare Australia. Head of the Child Support Agency. The Public Service Medal for leading major organisational and cultural change in a range of Departments and Agencies in 2010. 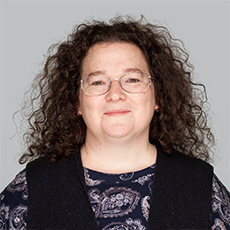 Member of the Schools for All Oversight Group (2016 – 2018). Chair of the Risk, Business Continuity and Security Committee at the Department of Human Services (2013 - 2017). Chair of the Risk, Business Continuity and Security Committee at the Department of Education and Training (2017 - present). 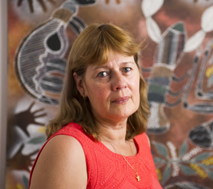 As a member of the advisory committee, Ms Causon will bring her experience as a Wiradjuri woman, a parent to a child with intellectual and physical disabilities and her extensive background in Indigenous affairs to support the Chair in providing advice to the Minister on opportunities for strengthening safe and supportive school culture in every ACT government school. Extensive and successful career in the Australian Public Service including Centrelink’s Area Manager for North Australia. 34-year career in National, Regional and Remote roles. Carer of a child with intellectual and physical disabilities. Current Chairperson of Our Booris, Our Way Review of Aboriginal and Torres Strait Islander children in child protection system.